The LBA Group (FY13 net revenue of $13.1 million) of Jacksonville, Fla., announced that Kim White and Jamie Thomas have been named partners in the firm. White joined the firm in 2005 as managing director and has been integral in transforming the firm into one that embraces change. 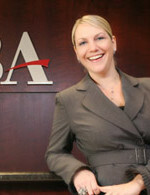 Upon joining LBA, White brought corporate human resources and strategic planning experience. As a member of the firm’s executive committee, she is also an integral part of developing and executing the firm’s strategic plan and creating a culture of innovation and teamwork. Thomas originally joined The LBA Group in 2000 as the firm’s first director of marketing and has helped the firm grow into the largest accounting, consulting and wealth advisory firm based in North Florida. 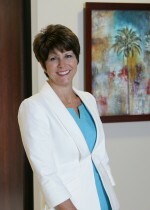 She is responsible for developing and executing the firm’s marketing, communications and business development strategy. Thomas was named Accounting Marketer of the Year in 2013, was the chair of the Association for Accounting Marketing (AAM) Summit in 2012, was the AAM National President in 2008-2009 and was named in 2008 by Accounting Today as one of the most influential people in the profession.